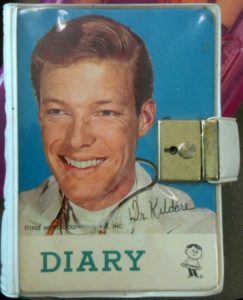 When I was thirteen, I got a Dr. Kildare diary complete with a small, gold lock. As a thirteen year old the dashing portrait of Richard Chamberlain was alluring and provided inspiration for countless swooning entries. I was a loyal diarist and kept track of events and feelings every day. My diary helped me problem-solve, wax poetically or just jot down what I’d done that day. As I discovered my love of the visual arts I began to keep sketchbooks and sketch journals. These were places to capture images of things that I found interesting, and perplexing. The sketches represented things I was curious about and images I wanted to study. My sketchbooks became places to capture my sense of wonder about the natural world as well as what I was imagining. A couple of months ago, I got a Flip Video camera to use in my work with schools. It has allowed me to create a visual record of conversations between teachers, and among students. I can capture moments in time and interactions between people, allowing me to revisit, mull over and share these conversations with others. The “teachable moment” has become the “videoable” moment. The camera has become an indispensable tool that I carry with me all the time. This little camera has opened up new worlds for me and rekindled my interest in all things visual. The camera has helped me learn how to use my eyes again, to listen closely and wonder about what I’m seeing. In my last post I shared a snippet of video from a college instructor discussing the successes she was having using literacy strategies in her accounting classroom. The clip above represents something that caught my eye while I was making a phone call. As I began filming, the object came into clearer view and I became more curious about what I was looking at. How did the light hit the glass and create the shadows? How would the shadows change as the light moved? What would happen if I shook the table and the water in the glass moved? How would this change the shadows? The more I looked, the more questions I had. The act of recording brought me closer to the object. I know many teachers are integrating Flip Video cameras into their work. Students are using videos to create movies and presentations. Teachers are using the cameras to take snapshots of learning that is happening in classrooms. How are you using Flip Video cameras in your school and classroom? What opportunities do students have to use video as a learning tool to explore the world and generate their own questions? Please share your videos and experiences so we can learn from one another. This entry was posted in Blog and tagged arts, arts education, blog. Bookmark the permalink.